In 2000, Apple (under Steve Jobs) decided they needed to completely rethink their retail strategy. They no longer wanted to be dependent on other retailers to sell their products and yearned to offer customers a unique experience. For this they put together a team of retail/architecture experts and embarked on a journey to design the perfect store. It was much like designing a product – they built a prototype first and iterated designs until they were happy. Teams involved in the design of Apple’s retail stores around the globe now include Bohlin Cywinski Jackson, Eckersley O’Callaghan, Eight Inc., Gensler, and ISP Design, Inc., together with Apple’s in-house design team. 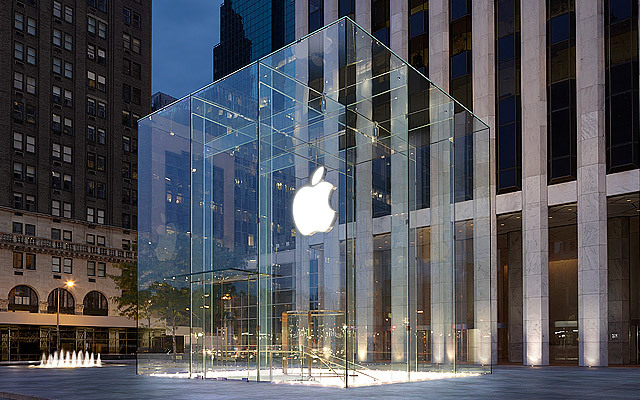 Though Apple’s decision to build their own stores was viewed as a gamble in 2001 it is now considered as one of the success stories of the industry. These stores now epitomize Apple.